Yuuki Yuuna wa Yuusha de Aru is an anime with fantasy, action, and magical girl theme. This anime was aired from October 17, 2014 to December 26, 2014 with the length of 12 total episode. The anime is the sequel of Novel Washio Sumi wa Yuusha de Aru which was already released earlier in 2014. My impression with this anime is mostly filled with hatred. I tried the elements of surprised by not looking for anime information at all about this anime. However, I don’t like the concept. I watched this anime because Uchiyama Yumi and Mimori Suzuko are in the main cast list but this anime failed to impress me mainly in story. While I was satisfied with the ending, I just don’t like the concept of the story. The story takes place in a world where the people worship Shinju-sama, the divine tree that was said to be protecting the human. Yuuki Yuuna, Tougou Mimori, Inubouzaki Fuu, and Inubouzaki Itsuki are the member of hero club. Their club activities are to help others who need their help. But appearantly, there are more things they need to do to help the people. And that is where the story gets exciting but also cruel in the later part. However, the ending is acceptable and satisfying. The artwork is good and cute but it is just not my favorite. However I won’t say it’s bad either. Still to far from being bad. It’s good but but it’s not my favorite but I don’t hate it. The visual is good but not impressive for a 2014 anime. For comparison, A Channel in 2011 offers much much better visual quality. So, the visual quality is not impressive as well. I won’t say it is bad. Just not impressive. The background music is good but not in level that impressed me deeply. However, Opening theme song is really good. The ending theme is also very nice. I really like the opening and ending theme. The lyric of the opening theme feels inspiring and music sounds heroic. The ending theme sounds relaxing but again… the story makes the ending theme sounds kinda sad. However, when you finish watching the final episode, it might change your mind. 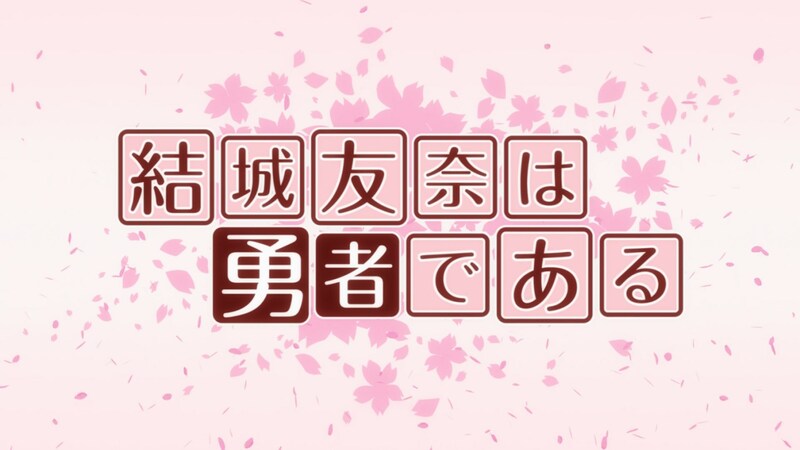 The opening theme is ホシトハナ (Hoshi to Hana, literally means Star and Flower) by Terui Haruka, Mimori Suzuko, Uchiyama Yumi, Kurosawa Tomoyo, and Nagatsuma Juri. Nagatsuma Juri participated in the opening theme starting from episode 4. 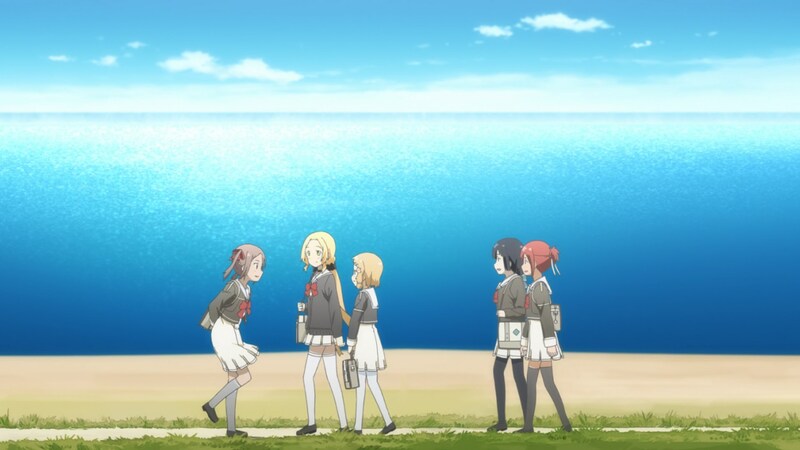 The ending theme is Aurora Days by Terui Haruka, Mimori Suzuko, Uchiyama Yumi, Kurosawa Tomoyo, and Nagatsuma Juri as well. Nagatsuma Juri participated in the ending theme starting from episode 3. About the characters, there are 5 main characters and the story focuses on 5 of them. The main heroine. She is a positive person and value her friendship highly. She is the type who don’t give up easily, even when she was under a very difficult condition. Terui Haruka did very good as Yuuna. Terui Haruka’s voice fits Yuuna’s personality and age nicely. I didn’t expect Terui Haruka to be this good. The main character in the prequel novel. She and Yuuna are best friends. 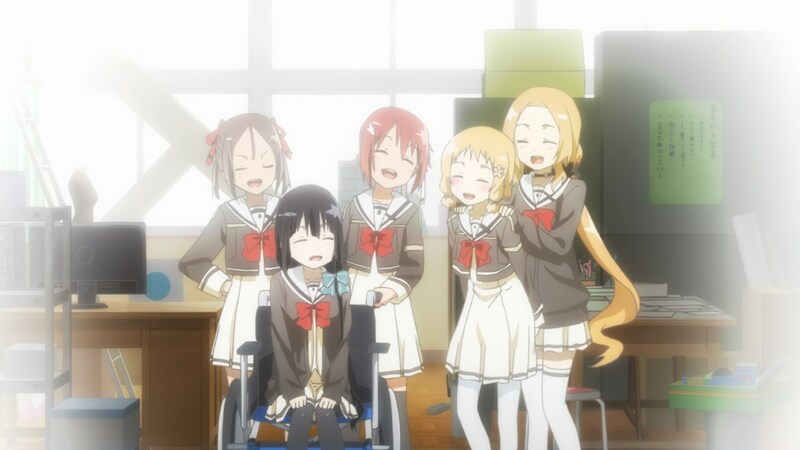 She can’t walk due to an “accident” in the past before she met Yuuna. She also lost 2 years of her memory due to that “accident” as well. Mimori Suzuko’s voice acting is kinda hit and miss. She did very good for a calm and gentle character. However, her voice sounds too mature for a middle school girl. It would be okay if Tougou were in high school though. The leader of Hero Club and the oldest characters. Fuu accepted to be the Hero because her parents were killed by the vertex. Fuu takes care of her little sister since then. She does everything for her little sister. Uchiyama Yumi mostly did decent as her. She did not do bad but just not that impressive. With exception in episode 10 where she did very dramatic scene but did not sound overacting at all. Itsuki is Fuu’s little sister. Itsuki is only 12 years old which makes her the youngest character in this anime. She depends a lot to her sister but she also wanted to change that. 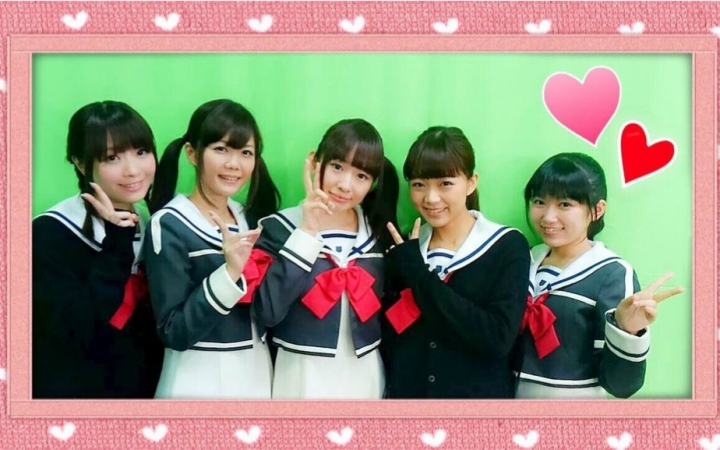 Itsuki’s voice actress, Kurosawa Tomoyo is the youngest voice actress in the show as well. She sounds cute at Itsuki. I think she did just almost as good as Uchiyama Yumi. Karin is a proud girl who appears later in this anime. She has a very good physical strength due to her daily training. Nagatsuma Juri sometimes sounds a bit like Kugimiya Rie here. But that makes her voice suitable on Karin’s tsundere personality. To be honest, I really feel sorry about the characters. They are in still in middle school but they have to face a very deep conflict that I feel even too much for adults. About the voice actress, I would have thought Mimorin and Yuumin can outshine the others because of their experiences. But that is not the case here. I don’t like the story concept of Yuuki Yuuna wa Yuusha de Aru. Like I aleady mentioned, the conflict is too much for a middle school girls to handle. It’s just too cruel. However, the ending is acceptable and satisfying, unlike Mahou Shoujo Madoka Magica. The visual quality is good but not impressive. The character design is good and cute. Again, I feel sorry someone cute and young as them have to face such difficult conflict on their early life. The music left much better impression though. So, is this anime good? Due to the weight of its story, the story is something that not everyone could enjoy. But I see the rating of this anime is quite good. So, I think most people will have different opinion than me. For me, it’s almost good because the ending is quite clear and satisfying. The moral of the story : To be a hero, you don’t need super power. All you have to do is helping people in anyway you can. The story development is far from my expectation. If the ending weren’t satisfying, I might score this anime really low. Totally not my style. I love it a lot. Giving high scores for this one for me. The average rating of this anime is higher than what I gave. So, yeah. I think many people enjoy this anime.